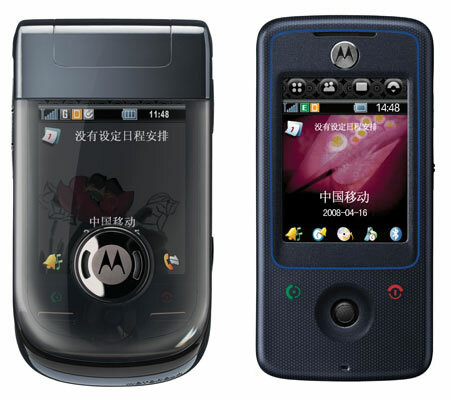 Motorola launched the latest members of its popular PDA series – MING A1600, MING A1800 and MOTO A810 in China. The highly-anticipated next generation MING A1600 and A1800, both of which feature stand-alone GPS and a full-package of productivity and multimedia functions, along with the chic entry-level MOTO A810 further expand Motorola’s line of PDA handsets and will continue the company’s leadership in China’s PDA handset market. From the world’s first pen-based PDA, the Motorola A6188, to the breakthrough MING, and now today’s A1600, A1800 and A810, Motorola’s PDA devices were conceived, designed, developed, and manufactured in China. More than eight million Motorola pen-based PDA handsets have been sold in China.